Leonardo Da Vinci, one of the greatest painters in the world, was born on April 15, 1452. He actually did not have a last name. His given full name was Leonardo di ser Piero da Vinci, which meant he was Leonardo, son of Mister Piero from Vinci, because he was born illegitimate. Leonardo, even at a young age, showed that he had many talents. He was a polymath – a man with superior intelligence, with visions and ideas that were beyond his time. He was an expert in many subjects aside from painting. Leonardo was a true Renaissance man, a man so curious that he delved into and became an expert in many subjects. He was a writer, musician, botanist, architect, sculptor, anatomist, inventor, engineer, mathematician and a scientist. He was also a geologist and a paleontologist. According to Mr. Francis Wells, who had been studying the anatomical drawings of Leonardo da Vinci that are in the Royal Collection at Windsor, many of the conclusion of Leonardo in his studies of the human heart and its system and functions hold true and yet this was not widely known. Mr. Wells, who is a consultant cardiothoracic surgeon in Cambridge’s Papworth Hospital, has explored the works of Leonardo about the body’s major organ in his book, The Heart of Leonardo. He said that Leonardo’s insights into the human heart were astonishing and could have revolutionized heart surgery in the 16th century had these been made public. He also said that what Leonardo learned about the human heart surpasses that of modern cardiologists of today, who still get some things wrong without MRI. 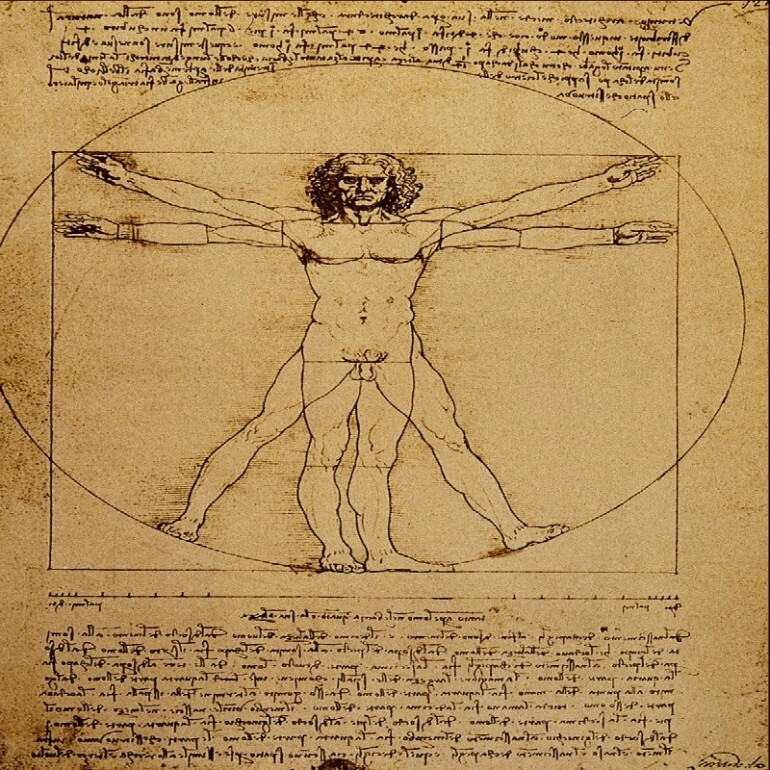 He used Leonardo’s Drawing of a Woman’s Torso as his example. There are only about 15 of his paintings that survived, mainly due to his procrastination and experimentation with new techniques that frequently led to disastrous results. His formal education was not extensive but he could be considered a genius, as his notebooks were filled with designs, drawings, inventions and scientific theories, most of which were not made public. There are more than 4,000 pages of his manuscripts that have been found but many more are believed to have been lost. There is one interesting fact about Leonardo da Vinci. He wrote backwards, from right to left. If viewed in a mirror, his writing could be read normally. Leonardo da Vinci was 14 years old when he became an apprentice at the studio of Andrea di Cione or Verrocchio in Florence. In this studio, Leonardo was supposed to have been exposed not only to artistic skills such as modeling, sculpting, painting and drawing, but also to technical skills including carpentry, mechanics, leather working, plaster casting, metal working, metallurgy, chemistry and drafting. By the time he was 20, Leonardo was already qualified to Guild of St. Luke master. He continued to collaborate with Verrocchio even if his father set up a workshop for him. His earliest work, done on August 5, 1473 was a pen and ink drawing of the Arno Valley. Leonardo’s professional life spanned the years from 1476 to 1513. Leonardo never married, and much of his life remained in obscurity. There were suggestions that he was attached to one young man, Count Francesco Melzi, to whom he bequeathed his personal effects, library, tools, paintings and his money. In 1481 he received the commission from the Monks of San Donato a Scopeto to paint The Adoration of the Magi. The enigmatic painting was unfinished because he had to leave for Milan. He stayed in that Italian city from 1482 until 1499, where he painted the Virgin of the Rocks and The Last Supper. He also did the Lady with an Ermine in that city. Back in Florence in the 1500s, he painted the St. John the Baptist and The Virgin and Child with St. Anne. Between 1503 and 1506, he painted his most famous painting, the Mona Lisa or La Giaconda. 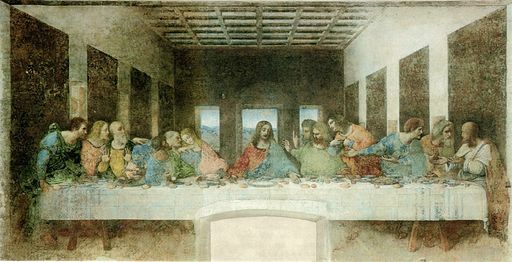 Leonardo was the first artist that used value across colors consistently, thereby gaining tonal unity to generate volume, with light, form and color being interrelated to approximate natural lighting behaviors. His carefully blended oil painting technique allowed him to create color intensity and depth as well as transparency in the effects of light and dark, a mastery of effectively creating three-dimensional objects through chiaroscuro. He generally expanded the luminance range for greater depth and gained tonal unity by using a common range of value without varying the hue. It was a technique that was totally different to Michelangelo’s style. His paintings were characterized by soft and gentle lighting. He used another technique, called sfumato to soften the colors and edges of his subjects, which can be seen in the Mona Lisa. This was achieved by the application of glazes, which cannot be achieved by mixing colors on a palette, so that the edges were obscured by a haze of smoke or transparent shadows.